Mr Poroshenko is fighting to retain the presidency as the two men head for a run-off election on April 21. 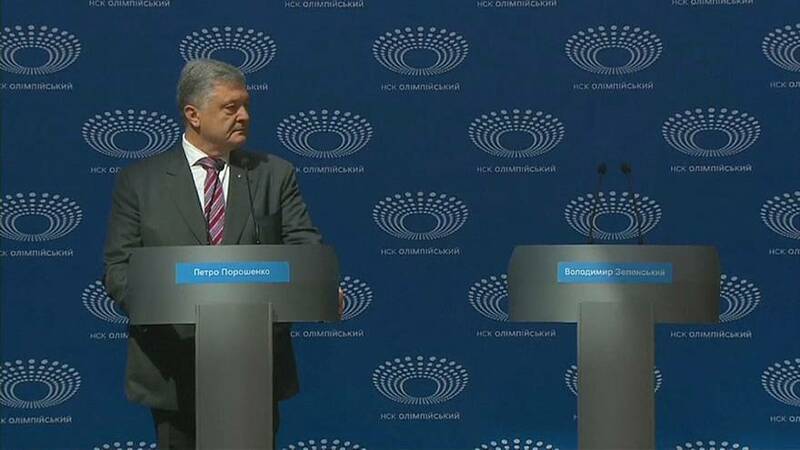 After waiting to debate his opponent for 45 minutes, Poroshenko gave a small press conference, where he was mostly asked about his absent rival. Mr Zelensky - a comedian who's never held political office but played a president on TV - has a commanding lead in the polls. He has said he will attend the official debate scheduled for this coming Friday, April 19. So far, he has avoided traditional campaign tactics such as rallies and debates - relying instead on social media to reach voters. Mr Poroshenko says he is confident he can pull off a second round win, despite winning just 16 percent of the vote in the first round.